University home > Services > Library > ad-lib > New collection on Japan now available! New collection on Japan now available! 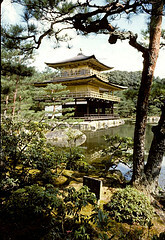 The Library is delighted to make available a new collection of books on Japan and the Japanese. Nearly ninety books have been very kindly donated by the Nippon Foundation, Tokyo, as part of its Book Donation Scheme: 100 Books for Understanding Contemporary Japan. The Nippon Foundation is keen to support study and research but also hopes to encourage understanding between Japan and the UK. This is particularly timely in view of the University’s forthcoming role as host to the Japanese Olympic team in 2012 when interest in the Japanese nation and its culture is likely to increase significantly. The University also runs a number of modules relating directly to the study of Japan from a historical, political, business and cultural perspective and these books offer a valuable enhancement of our current holdings of Japan-related texts. The collection includes books from all of the following fields: Politics, Government, International Relations, Economics, Business, Society, Culture, Literature, the Arts and History. Simply type in “Nippon Foundation” into the Library Catalogue to view the full list of books in this exciting new collection. Owing to on-going necessary electrical work, there will be further restrictions to access of certain facilities and services on Level 3. Virtually the whole of the public areas will be inaccessible to users, including the High Demand section. If you require a book from this section, you will need to request it via the library catalogue, and staff will endeavour to collect it for you within 24 hours. We are aiming to relocate the self issue machines to a position near to the main Customer Services desk, which will be operating to its usual high standard of ‘business as usual’ (darkness permitting!). The Level 3 printers shall be relocated to Level 2. The current newspapers have been relocated to the Support Services office. If you wish to look at one, you will need to ask for it at the Customer Services desk. Unfortunately we cannot supply you with back issues, only the current papers. The Open 3 study areas, the Reference Collection, the Media section, and Support Services remain inaccessible. Entrance to the Cafe 641 is still restricted to the foyer. Signs will be posted directing users and visitors to such facilities as remain in operation on Level 3 and to alternatives on Levels 1 & 2, which are both now fully open and accessible. 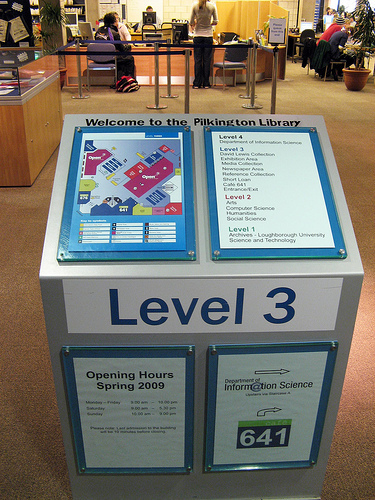 Level 4 is still accessible via Staircase ‘A’. Thank you for continuing to bear with us during this time!